Providing a life-changing liberal arts experience doesn’t happen by accident. It takes intention, inspired people and quality resources. Another priority of the Illuminating Lives campaign is to support the people, programs and places that embody the future of our vibrant liberal arts education. 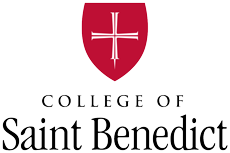 It’s an education in which Saint Ben’s graduates learn to make connections across their studies, their lives and their communities, and in so doing, learn how to use methods and perspectives to work toward the common good. Creating 21st century classrooms and learning spaces for the economics, mathematics, computer science and psychology departments on this campus will provide improved opportunities for all and encouraging support for women in these fields. Flexible new office spaces for faculty will encourage cross-disciplinary work and interactions. Renovating existing campus spaces to hold administrative offices will free the Main Building to become the central academic hub of the campus. Supporting faculty and staff through endowing chairs, professorships and directorships will attract and retain top talent. Supporting innovative programming, undergraduate and faculty research, faculty development and academic programs will engage, reward and recognize ambitious achievers.